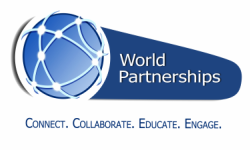 World Partnerships, Inc. and the Pinellas Education Foundation and the Stavros Institute have partnered together for IVLP professional programming for a decade to give hundreds of IVLP leaders the experience of the Stavros Institute’s “world class” economic and financial education programs for youth. Enterprise Village is a business skills training curricula for 5th graders, while Finance Park provides essential finance and economic skills and “hands on experience” for 8th graders. Both programs are a required curriculum component of the Pinellas County school system. 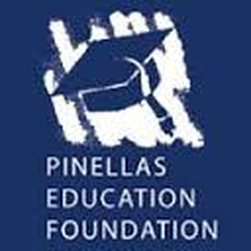 The Pinellas Education Foundation was founded in 1986 by a group of business leaders and educators. Their interest was to involve the community in education. Education is an important responsibility, one which can be shared by educators, students, parents, business and the community at large. The Foundation is supported by individuals, foundations, organizations and businesses. The mission of the Pinellas Education Foundation is to enhance and improve educational opportunities in Pinellas County Schools. Its vision is that every student will be prepared for life after high school, whether the choice is to attend college, to enter the workforce, or to obtain technical training. The Gus A. Stavros Institute is a partnership between the Pinellas Education Foundation and Pinellas County Schools to provide “real life”, hands-on free enterprise experiences for students. Students are given opportunities to make decisions which will help them be better prepared to deal with adult life. 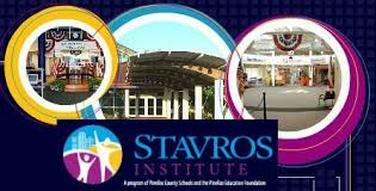 The Stavros Institute is visited by more than 30,000 students each year and is home to Enterprise Village, Finance Park and Career Cove. The hands-on Enterprise Village experience has had participation by more than 250,000 fifth grade students since 1989. Over 150,000 eighth grade students have benefited from the Finance Park personal economics training since 1996. Click here for a video experience! Watch the Enterprise Village and Finance Park Video!